Our Daddy Reasons We Love You Personalised Wooden Star makes a lovely gift for daddy from the little ones. 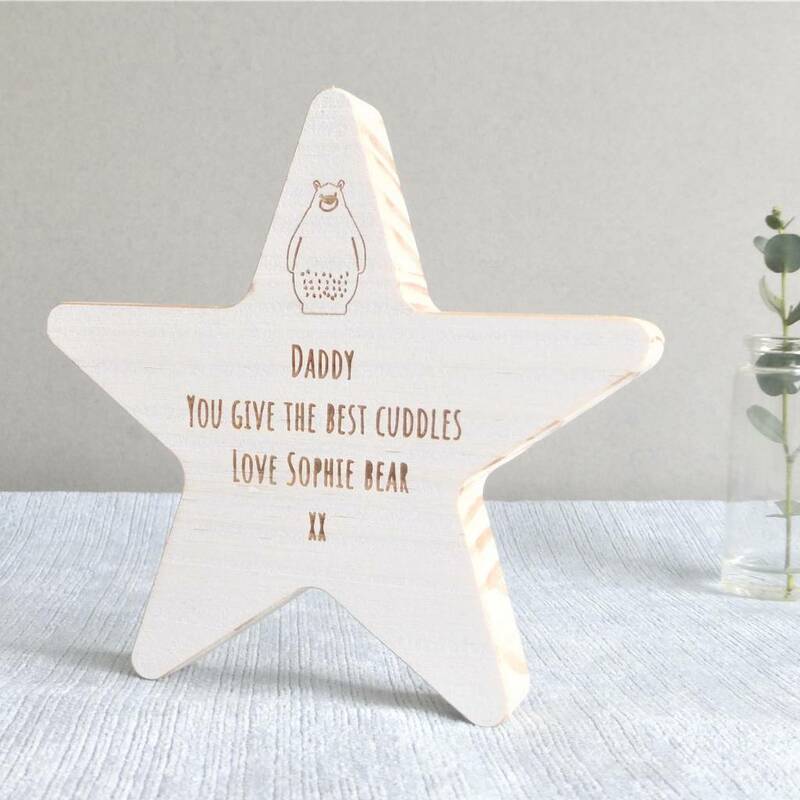 Each wooden star will come with our daddy bear image engraved onto the front as standard. Add your personalised message onto the front of the star to make a thoughtful and unique gift for dad to treasure. Let daddy know why he so loved with his very own personalised star.